I'm 28 year-old non-native, studying for GMAT since Jan 2017 (because of long breaks due to business trips), aiming at 700+ score. 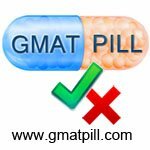 I'm taking my 1st GMAT on 10th of August, GMATPrep mock 1 on 15th of July, 2 on 22th of July, and 3 on 29 of July. Quant is my strongest side, so my strategy is to get Q50-51, V35+. I'm pretty good with RC (80-90% accuracy for Easy/Med questions, 60-70% accuracy for Hard ones); SC (same RC and even a bit better). Timing is also OK: max 2 min for RC and 45-90 sec for SC. 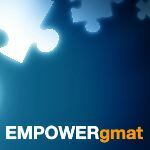 When I was mastering CR through OG, my accuracy was 95-100% for Easy/Med questions, 60-70 for Hard ones BUT in order to better understand GMAT CR logic I didn't time myself and now when I started tackling CR problems with GMATPrep I found out that my accuracy falls to 50% for Med/Hard questions when I'm forcing myself to answer the questions within 2 min. I think that my brain just got accustomed to that I would say "relaxed" mode of thinking when you're time free to fully deconstruct the argument and analyze answer choices. Still I have slightly more than a month to improve CR timing, but I just wanted to ask other GMATTers and Verbal experts, who maybe faced the same problem for any advice how do that in a more efficient way. 30-40 sec for understanding the passage, another 30-40 to analyze answer choices, then pick the answer. Timing is a critical part of the exam. So understanding the passage is not good enough. The key is to understand enough of the passage to have a sense of what the answer is likely to be. Spending a lot of time and being a master of one CR passage does you no good on the next question that is unrelated. That's why it's a bit of a skill to quickly comprehend the general gist and be able to sort of have an answer in mind before even reading the answer choices. Of course the video is drawn out time-wise as it's impossible to explain at the speed at which one would answer the question - but the visual approach can help eliminate a lot of unnecessary time when reading a large CR passage. You can also eliminate certain CR answer choices without reading them in full - that saves a lot of time. From what you've described, it sounds like you've been studying for awhile, but it's unclear whether you've taken any FULL-LENGTH practice CATs yet. If you have, then how did you score (including the Quant and Verbal Scaled Scores)? If you have not taken any yet, then it would be a good idea to take a FULL-LENGTH practice CAT Test; you can download 2 for free from www.mba.com (and they come with some additional practice materials). Considering the timeframe that you're dealing with, that inflate score is important as it will give us a good sense of your current strengths and weaknesses and will help provide a basis for comparison as you continue to study. A FULL CAT takes about 4 hours to complete, so make sure that you've set aside enough time to take it in one sitting. Once you have those scores, you should report back here and we can come up with a study plan.